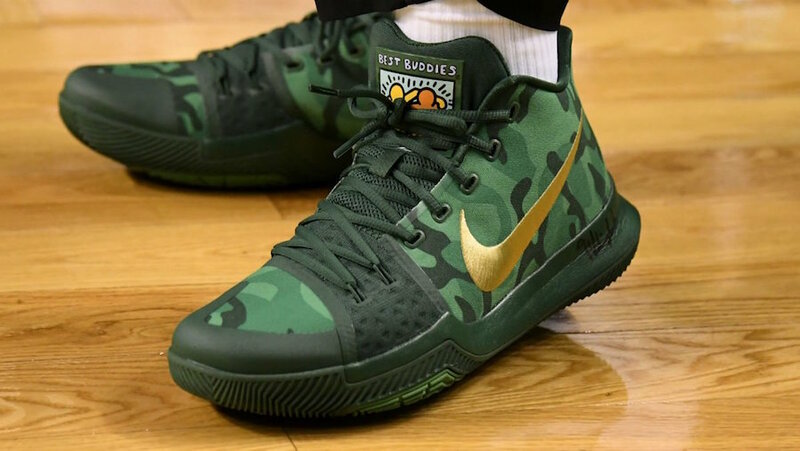 Kyrie Irving just wore the Nike Kyrie 3 Green Camo PE against the Dallas Mavericks which lead to the Boston Celtics winning 97-90. 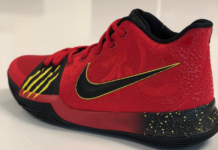 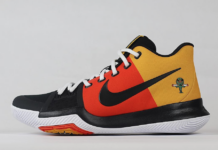 The highlight of this Nike Kyrie 3 pays tribute to his relationship with Best Buddies which is an organization that creates opportunities for people with intellectual and developmental disabilities. 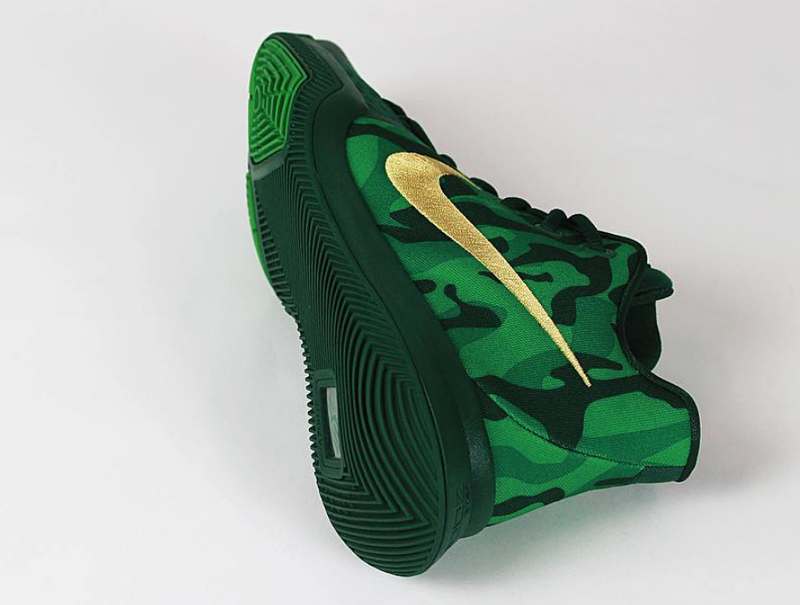 Looking closer they feature Green camouflage across the uppers while Gold is used on the Nike Swoosh which is embroidered. 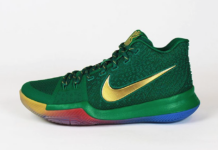 Other details includes the Best Buddies logo on the tongue while shades of Green covers the midsole and outsole. 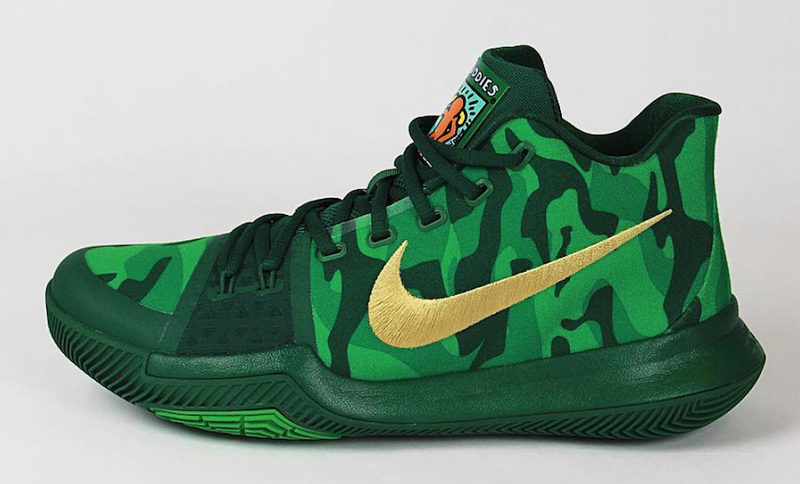 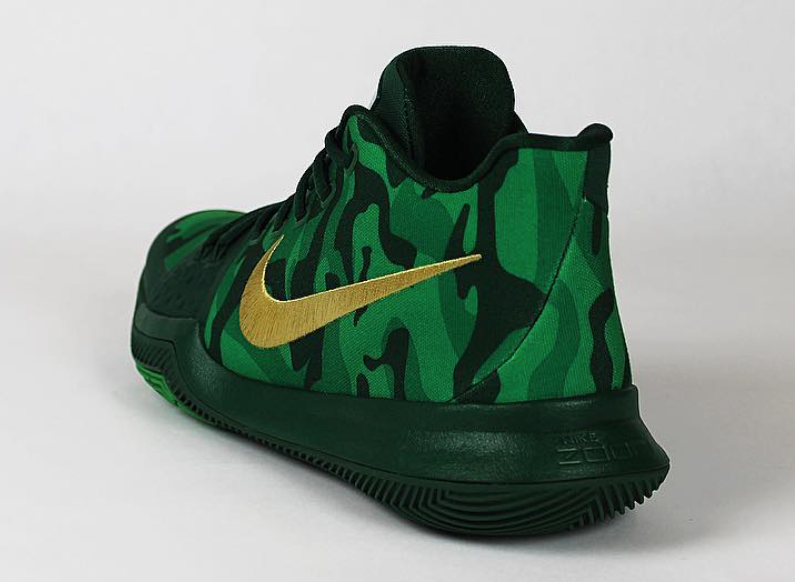 More than likely the Nike Kyrie 3 Best Buddies Green Camo won’t release, however you can check out more images below which will give you a better look. 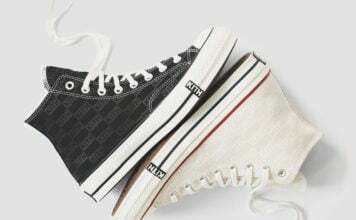 Make sure to visit the comments section and let us know your thoughts on them.